It’s time to get ready for your favorite artist as they come to showcase their sounds LIVE at Roseland Theater – that’s right, Phil Lesh & The Terrapin Family Band will be taking to the stage on Saturday 2nd February 2019… grab your tickets before it’s too late! You listen to their songs non-stop. You stream their single online the moment it comes out. You watch their music videos endlessly. You stalk their every move on social media. Yet nothing comes close to being mind-blown by live concert! 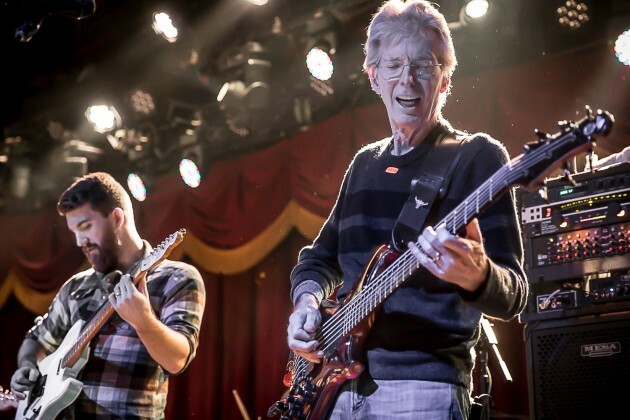 Roseland Theater will make your fan girl/fan boy dreams come true on Saturday 2nd February 2019, as it opens its doors for the live showcase performance of Phil Lesh & The Terrapin Family Band! Thank your lucky stars for bringing the Phil Lesh & The Terrapin Family Band tour leg here in Portland. Consider this an instagrammable moment that would give you lots of like, wow, and heart reacts. Die-hard fans are really keeping their eyes wide open and fingers busy clicking to buy those most-coveted tickets. Don't wait for the last minute. Seize this golden opportunity and get your tickets now!